Flat strap with single edge stitch. Gun metal buckle with the Nike logo and one loop. 5 hole. Stylish contrast edge single stitch for each color. Nike's reversible technology to allow visibility for both belt sides. 1" 25mm wide. 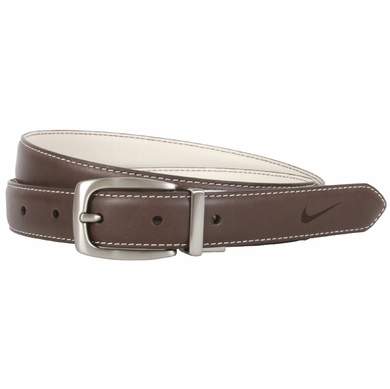 Nike logo at the end of the belt.